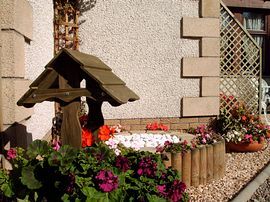 A warm welcome is extended for guests old and new to this delightful purpose built guest house. 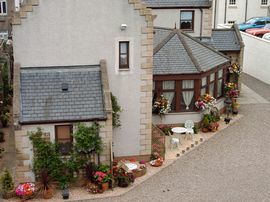 Conveniently situated just off the cobbled High Street in the picturesque village of South Queensferry which sits between the two famous bridges on the south side of the River Forth. 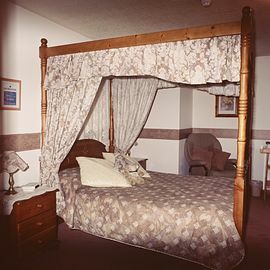 Whether your visit is for business or pleasure Priory Lodge incorporates all the features you would expect from a four star superior establishment. 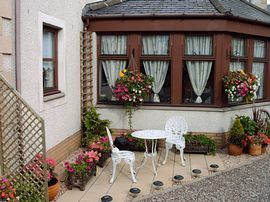 South Queensferry is ideally situated in the hear of Scotland for exporing the Capital City (regular bus/train nearby to Edinburgh, so no parking problems), also surrounding areas or even the breathtaking scenery of the Highlands. 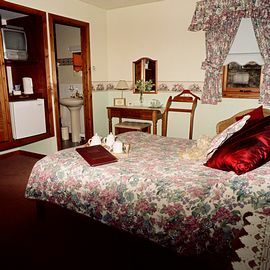 The attractive bedrooms are maintained to a high standard and are comfortably furnished in antique pine. Priory Lodge has free broadband internet access with WIFI hotspot for laptop users. A hearty Scottish breakfast is served at individual tables. We offer private parking. We look forward to welcoming you to Priory Lodge. Disabled Facilities: There are no disabled facilities. Category Three- Room Available for residents with mobility difficulties. By Car...Follow road signs for Forth Road Bridge, before crossing take B907 into village "Priory Lodge" is on the right as you travel down The Loan. By Train...Disembark at Dalmeny Station(South Queensferry) walk west along Station Road then turn right at the end, "Priory Lodge" is on your right hand side 200 yards down the hill. By Bus...From Ednburgh take a No 43 From almost any stop in Princes Street, alight bus at "Scotmid" store "Priory Lodge is on the right 20 yards past the bus stop.